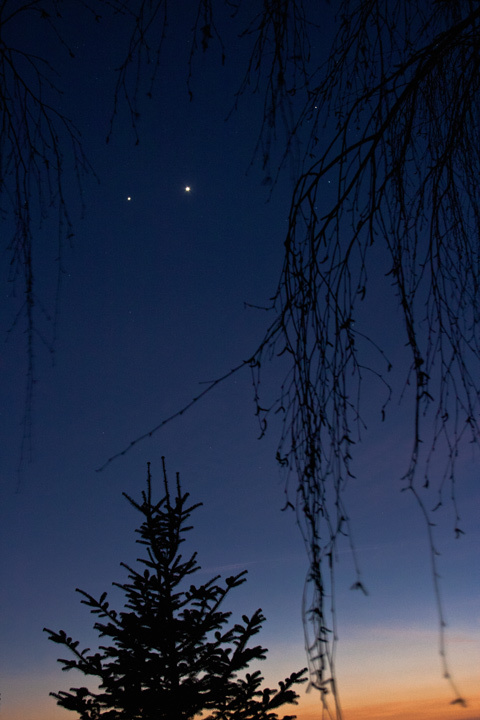 Planet conjunction of the year now - and another 'Lovejoy' approaching? There was a lot of action on the Sun as reported - with tons of links - in March 7, March 9 and March 11 postings. Auroral consequences stayed moderate, though, except at high latitudes such as Australia and Canada on March 12 or Scotland and Finland on March 11. Also a nice eruptive prominence & CME at the limb, the AR 1429 responsible for everything and new ISS aurora views. 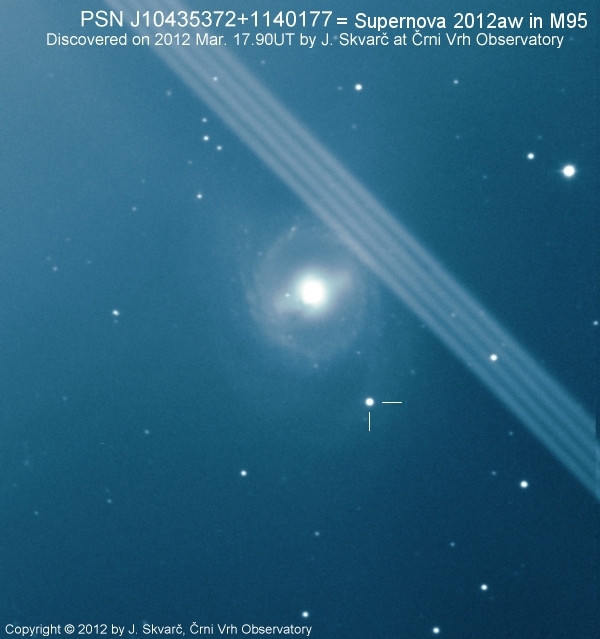 • Finally a new Eps Aur paper clarifying the dust disk (background), a new Nova Car 2012, an interview with T. Legault, ISS imager (part 2), a Moon non-illusion (it can really be bigger; more), amateur astronomers in Texas flashing the ISS (more and more) and night views from the ISS.